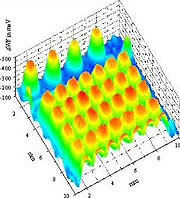 100nm PEDOT:PSS - Sample courtesy of Dr. Dmitry Poplavskyy, OSRAM Opto Semiconductors Inc. The Kelvin Probe is a non-contact, non-destructive measurement device used to investigate properties of materials. 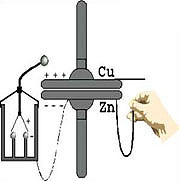 It is based on a vibrating capacitor and measures the work function difference or, for non-metals, the surface potential, between a conducting specimen and a vibrating tip. The work function is an extremely sensitive indicator of surface condition and is affected by adsorbed or evaporated layers, surface reconstruction, surface charging, oxide layer imperfections, surface and bulk contamination, etc. The Kelvin method was first postulated by the renowned Scottish scientist Lord Kelvin in 1861. Shown here is a picture of his original apparatus. This website provides information on the science behind the Kelvin Probe, ideas for applications, examples of measurements and some comments on current apparatus available. All are compiled by Professor Iain D. Baikie who has extensive experience in the technique. If you did not find what you were looking for please contact us directly. We welcome any comments and questions related to the Kelvin Probe or this site. 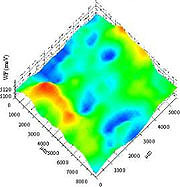 In February 2010 Professor Iain Baikie in conjunction with the publication 'Thin Solid Film' headed up an expert panel presenting an educational webinar introducing viewers to the principle of the Kelvin Probe technique, explaining how it works, the information it provides and how this can be interpreted through the use of examples and typical applications in Materials Science. 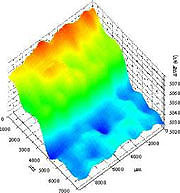 Attendees discovered the advantages this highly sensitive research tool can offer and had the opportunity to ask any questions relevant to the Kelvin Probe technique and their current research requirements.